As educators make greater use of online learning environments and virtual communities, increased attention is being paid to the aspects of computer-mediated communication which facilitate constructive interaction between learners. The benefits of face-to-face cooperative learning are being pursued in the evolving computer-supported collaborative learning (CSCL) environment. The success of computer-supported collaborative learning is influenced by the amount and quality of social and physical presence available in the online environment. 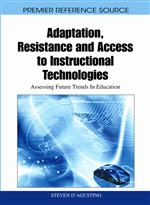 This chapter offers several best practices for enhancing learners’ perceptions of social and physical presence within the digital realm, and it suggests future avenues of research which may lead to further improvements in the instructional potential of online learning environments. Cooperative learning has been thoroughly researched by psychologists and educators during the last half century, and during the last two decades this research has begun to examine the use of computers and virtual environments to support learners’ interaction. Cooperative learning is defined as the use of small groups during instruction with the explicit purpose that students work together to maximize their own and others’ learning (Johnson, Johnson, & Holubec, 2003). Based on the theory of social interdependence, this structured learning environment is only as successful as students’ sense of interdependence with one another and their individual accountability to make contributions to the collective learning goal (Johnson & Johnson, 1999). Positive interdependence is the most crucial element for establishing a meaningful cooperative relationship within a face-to-face or virtual learning environment. Positive social interdependence exists when group members perceive their success as dependent on the success of the whole group: each individual’s efforts affect the outcomes of everyone else in the group. Research has shown that cooperative learning is a highly successful instructional technique in traditional classrooms for students of all ages (Gillies, 2007; Johnson, Johnson & Smith, 2006; Sharan, 1990). Building productive cooperative relationships within a learning environment requires attention to the type of goals, interactions, and expectations shared by students. Online collaborative learning is assumed to have benefits similar to face-to-face cooperative learning (Harasim, 1990; Kreijns, Kirschner, & Jochems, 2003) and may also have some advantages over traditional settings (e.g. Lapadat, 2002; Jorczak, 2008).